Interflex is an European smart grid project, funded by Horizon 2020 research and innovation program. Interflex investigates during 36 months the INTERactions between FLEXibilities provided by energy market players and the distribution grid. This project particularly focuses on energy storage, electric vehicles, demand response, islanding, grid automation and integration of different energy carriers (gas, heat, electricity). 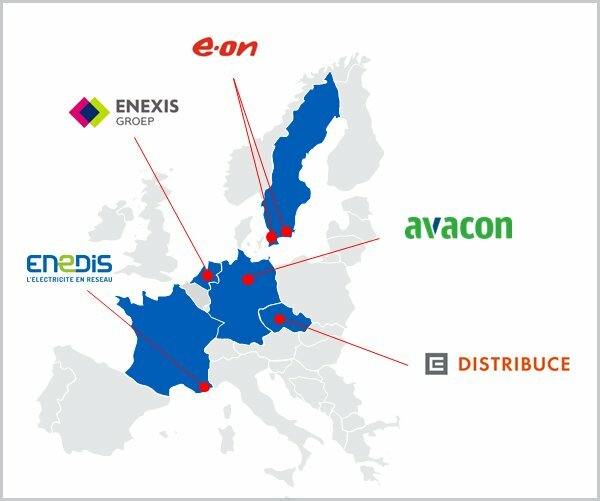 Six demos are hosted by five European distribution companies: ČEZ Distribuce (Czech Republic), Enedis (France), E.ON (Sweden), Enexis (The Netherlands) and Avacon (Germany). In this project, Trialog is responsible for Interoperability. The goal is to ensure the interoperability of the demos and use-cases, to showcase interchangeability in laboratory, and to define interoperable APIs for flexibility. Trialog will collaborate on this topic with RWTH Aachen University and Austrian Institute of Technology.